One month ago, it was like Christmas, Easter, and my birthday all wrapped into one when at the parish we received over 20 boxes of Catholic books. The boxes of books came from a parishioner who passed away recently. She left all of the books to the parish. Although we are adding many of the books to the parish library, there were so many we couldn’t add them all. As staff a member, I was invited to pick through some of the books, many very old and out of print, that I would like to have for my own personal library at home. Many of the books that I chose have to do with the Blessed Virgin Mary, but I also picked up some other theology books as well, including a two-volume set on some of the basic writings of St. Thomas Aquinas. I will share those books will all of you soon. So, for today’s blog post, I am going to share with you the Marian books that are now part of my library at home. As my Pastor said, you now have years of writing for your “Mondays with Mary” series. The Rosary – The Crown of Mary by a Dominican Father – a small booklet about the Rosary. Copyright is 1935. The Miraculous Image of Our Mother of the Perpetual Help by R. J. Spitzer, C.SS.R. – a small booklet on the aforementioned image. Copyright is 1954. The Secret of Mary by St. Louise de Montfort. Copyright is 1950. The Reign of Jesus through Mary by Gabriel Denis, S.M.M. Copyright is 1944. The Imitation of Mary by Alexander De Rouville. Copyright is 1977. Papal Teachings (Our Lady) by The Benedictine Monks of Solesmes. Copyright is 1961. Mary – The Blessed The Beloved by Rev. Timothy Harris. Copyright is 1951. The Divine Mysteries of the Most Holy Rosary – Series No. 2 – The Sorrowful Mysteries. Copyright is 1949. Mary – a periodical from July August 1955 (cost was 35 cents). 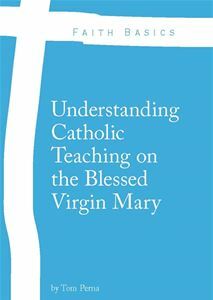 Published by Agents for Mary in England. True Devotion to the Blessed Virgin by St. Louis de Montfort. Copyright is 1991. A Woman Clothed with the Sun – Eight great appearances of Our Lady. Copyright is 1960. Mary – Catechist at Fatima by Rev. Fredrick L. Miller. Copyright is 1991. Fatima – The Great Sign by Francis Johnston. Copyright is 1980. The True Story of Fatima by John de Marchi, I.M.C. Copyright is 1947. Novena – In Honor of Our Sorrowful Mother. Copyright is 1962. Our Lady Speaks – Thoughts on Her Litany by Leon Bonnet. Copyright is 1954. Dictionary of Mary. Copyright is 1985. Victories of the Martyrs by St. Alphonsus De Liguori. Copyright is 1954. Mary – God’s Masterpiece. Copyright is 1954. 17 Papal Documents on the Rosary (Pope Leo XIII, Pope Paul VI, and St. John XXIII). Copyright is 1980. The Official Handbook of the Legion of Mary (Fourth American Edition). Copyright is 1941. Loves in the Heart of Mary. Copyright is 1965. The Sun Her Mantle by John Beeves. Copyright is 1953. Apparition of the Blessed Virgin on the Mountain of La Salette – booklet on the apparition. Copyright is 1976. Rosarium Virgins Mariae by Pope St. John Paul II – I already have this but this copy is in a small booklet format. Copyright is 2002. The Life of Mary as Seen by the Mystics. Copyright is 1991. Lourdes – a land of the gospel. Picture book of Lourdes. Copyright is 1952. Shrines to Our Lady Around the World by Zsolt Aradi. Copyright is 1954.